The PrEP in Europe Summit will be the first time healthcare workers, activists, advocates and policymakers from the whole of Europe have joined together with the aim of improving access to HIV pre-exposure prophylaxis (PrEP) in the whole European region. One hundred and twenty activists, advocates, healthcare workers and policyworkers, selected from 279 applicants, from 33 European Countries plus the US and Australia, will be gathering in North Amsterdam this weekend. 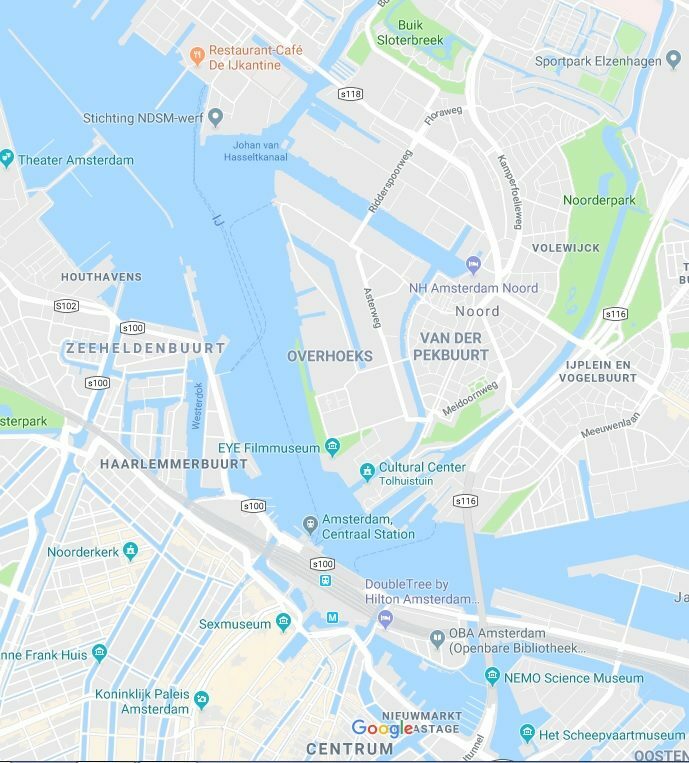 Both the Summit venue and the scholars’ hotel are in North Amsterdam, across the IJ Harbour from the city centre. 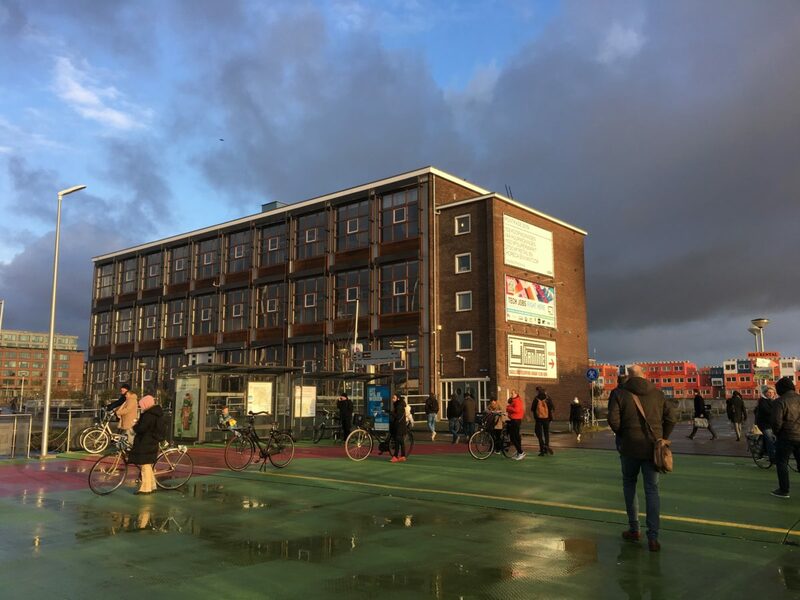 The venue is the IJ-Kantine: https://www.ijkantine.nl/en/home-2/ – Google Map here. 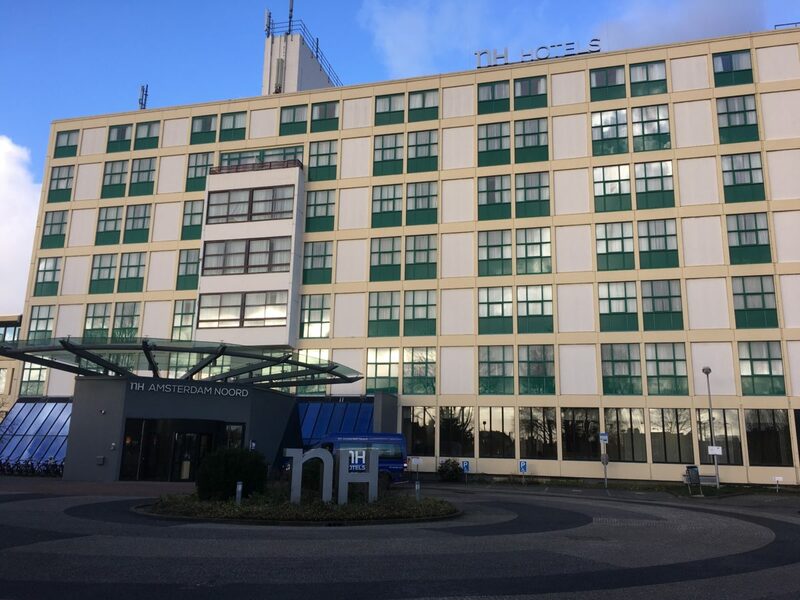 If you are one of the 45 fully-supported Scholars staying in the scholars’ hotel, it is the NH Amsterdam Noord, here: https://www.nh-hotels.nl/hotel/nh-amsterdam-noord – Google Maps with bus route here. Scroll the photos at the bottom from left to right to see pictures of the venue, scholarship hotel and ferry quay, and Google maps of the ferry and bus routes. Registration and lunch starts at 11:30 on Friday 9thFebruary, with sessions starting promptly at 12:45, and the Summit ends at 17:00 on Saturday 10th. Dinner on Friday night and lunch on Saturday are both included at the venue, as are tea/coffee breaks. We’re now having coffee and sandwiches/wraps provided during registration on Friday 9th. NB contrary to the programme information, free draft beer, house wine and soft drinks will now be available from the bar between the meeting and dinner on Friday. Unless you have hotel accommodation booked for Thursday, we recommend you come straight to the venue with your bags. There will be a luggage storage room there. We want the breakout group session to start promptly at 9:00am on Saturday, so please aim to arrive on Saturday by 8:30am. 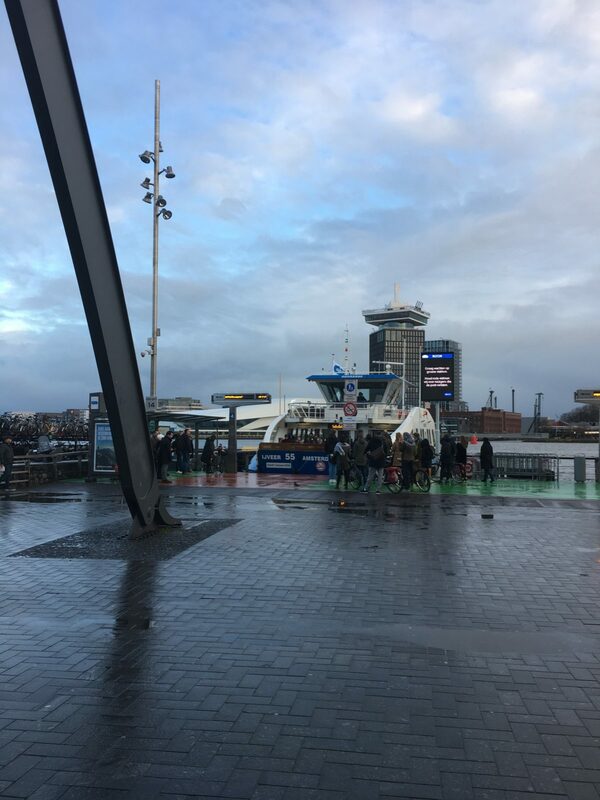 The ferry runs from NDSM towards Amsterdam Centraal every 30 minutes in the evening till midnight, and after that there is a night ferry, the 905. See https://en.gvb.nl/veerpont-over-het-ij for more info about the ferries. The 391 and 394 buses run from Central Station to the Mosplein (2 stops), which is where the NH Amsterdam Noord Hotel (the Scholars’ Hotel ) is located. It then runs 2 stops more to Klaprozenweg. From Klaprozenweg it’s 5 minutes’ walk south along Van Riemdijksweg to the IJ-Kantine. The 394 has destination ‘Zaandam Station’ and the 391 ‘Zaanse Schans’. The buses are not free and cost €3.00 payable with card only (not cash), so are a bit pricey for two stops. If you’re staying in Amsterdam we recommend a Chip-Kart, which costs €7.50 plus €1.20 per fare. The NH Amsterdam Noord runs a free shuttle minibus from the front entrance to the NH Amsterdam Barbizon, in front of Central station, every 30 minutes and back from 9am to 12 midnight. 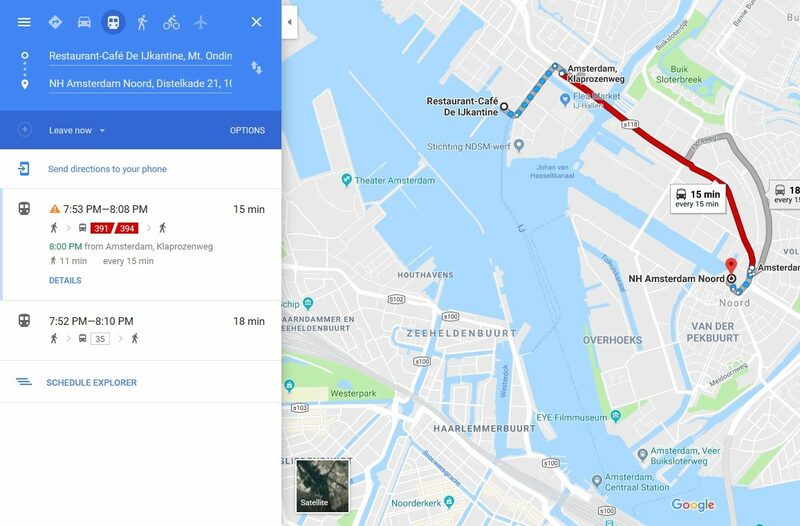 According to Google Maps it’s an interesting, if rather post-industrial, 27-minute walk (2.2km) from IJ-Kantine to the NH Hotel along Neveritaweg and Papaverweg. Best done in company at night, we think. We’ve added this to the programme. 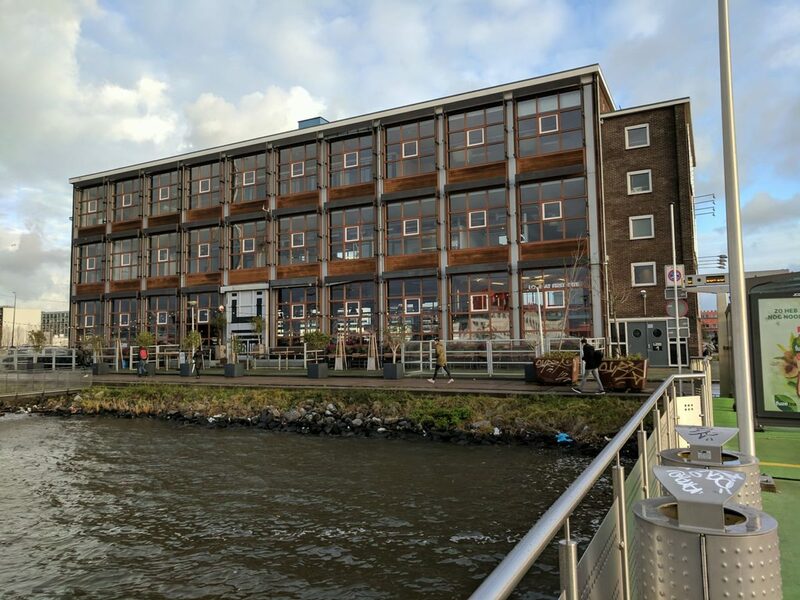 It will happen at the IJ-Kantine venue, and they will need 45 minutes or so to change the main room back into a restaurant. In the meantime, you’ll have time to relax at the IJ-Kantine bar (drinks not included). Dinner will be 3 course (menu to follow), and will include 2 drinks + water. The weather in Amsterdam is forecast to be cold, with possible snow showers om Friday evening and a minimum of 2 degrees celsius. Maximum 7 degrees on Saturday with some sunshine but a cold wind. So wrap up well! If you are attending, we look forward to seeing you there. If you can’t be there, all the plenary talks and panel discussions will be live-streamed; please join our Facebook Group at https://www.facebook.com/groups/PrEPinEurope/, which will feature the Summit videos.